Product prices and availability are accurate as of 2019-04-20 02:49:14 UTC and are subject to change. Any price and availability information displayed on http://www.amazon.com/ at the time of purchase will apply to the purchase of this product. 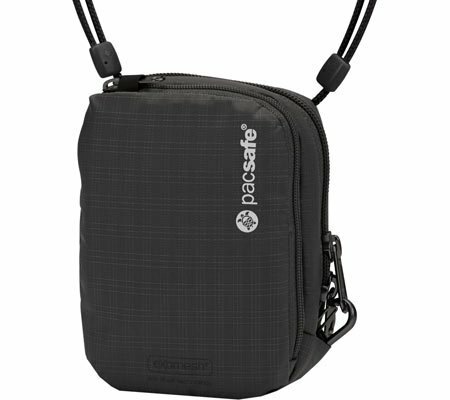 Keep your camera secure and handy with the Pacsafe Camsafe VP camera bag. With enough room for a compact camera, SD cards, small items and phone, this compact, crossbody camera bag is packed with features, from a slash-proof strap and eXomesh exterior to smart zips. This travel-friendly pouch can be worn messenger-style, around the neck or on a belt for added versatility.